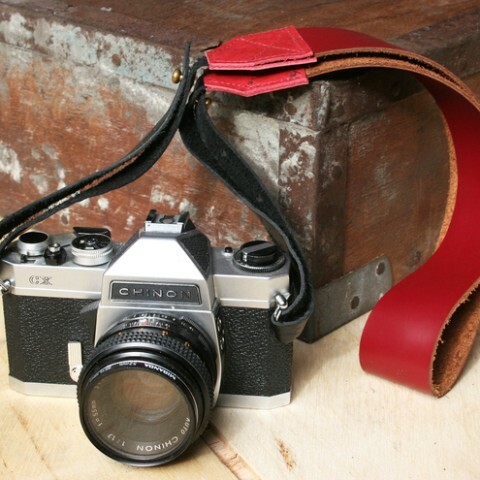 This Red Leather Camera Strap made me gasp! Yes, please! 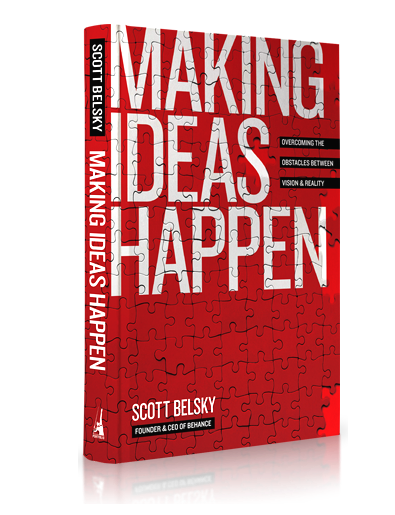 In his article below, Scott will give you a personal introduction to some of the concepts in his new book, Making Ideas Happen, which comes out April 15th. The book breaks down the best practices on creative execution and pushing ideas forward. 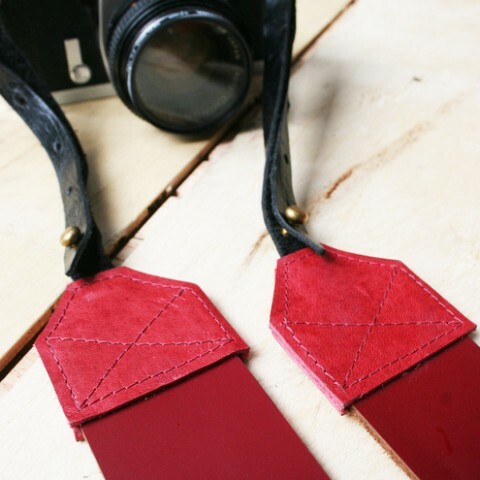 It’s simple, pragmatic, and an essential for any creative’s bookshelf. If you’re not familiar with Scott, he’s the guy behind the Behance Creative Network and The 99%. (The 99% Conference last year, has been hands-down the most inspiring one-day conference I have ever attended. I am thrilled to be part of this years 99% this coming thursday). About 5 years ago, I set out to write a book about how the most productive people and teams in the creative world execute their ideas, time and time again. Along the way, our team at Behance grew to 15 people with a passion for organizing creative people, teams, and networks. The process of writing a book about MAKING IDEAS HAPPEN alongside building Behance as a company has caused a great deal of introspective moments. We’ve entered an era of reactionary workflow. Without realizing it, most of us live a life of “reactionary workflow.” Endless emails, texts, tweets, messages on social networks, phone calls, instant messages… the list goes on. Rather than be proactive with our energy, we have become reactive – living at the mercy of the most recent incoming messages and requests. We’ve become overwhelmed by an endless stream of minute actions that don’t get us any closer to making an impact in what matters most to us. The outcome? Bold, long-term ideas suffer as we lose our ability to prioritize. Luckily, some creative leaders have found ways to combat reactionary workflow. Whether through creating “windows of non-stimulation,” unique approaches to allocating energy, or rethinking the way you manage communications, you can develop tactics to accomplish major feats by being proactive with your energy. Great ideas die in isolation. Whether on our own or with a team, we rarely give new ideas a proper chance to gain traction. It turns out that the myth of the lone creative genius is just that: a myth. The constituents of your idea – those who make up your community – play a critical role in making ideas happen. The first set of communal forces are of the “pull” variety, resources that you must PULL from those around you to boost accountability and help refine ideas. The second set is all about the PUSH, notably what and how you project your ideas to adequately engage others. The bottom line: The destiny of your ideas depends on how well you engage the energy and enthusiasm of those around you. Creative process is really just about surviving the project plateau. Everyone has their own approach to idea generation. There’s no “best way” to be creative. But when it comes to the process of executing an idea, there’s a common challenge that we all face: sticking with it. 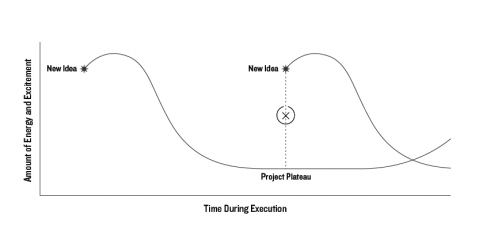 Most ideas are abandoned on what I’ve come to call the “project plateau” – the point at which creative excitement wanes and the pain of deadlines and project management becomes extremely burdensome. To escape the pain, we generate a new idea (and thus abandon the one we were working on). This process can easily repeat itself ad infinitum, without us ever finishing anything meaningful. In MAKING IDEAS HAPPEN, I delve into how admired creative leaders conquer the project plateau and finish. It takes a new approach to projects, tweaking how you manage your energy, and rethinking the old-school reward system that keeps us all pushing forward. I am extremely grateful for the opportunities that writing this book afforded me. It provided the rare chance to interview some prolific creative minds – people like RISD president John Maeda, IDEO partner Diego Rodriguez, Google Creative Director Ji Lee, and hundreds of other productive designers, authors, and entrepreneurs that consistently make ideas happen. Needless to say, MAKING IDEAS HAPPEN has had a huge impact on our team at Behance. I hope it does the same for you in your creative pursuits. A big thank you to Scott Belsky for this Guest Post.